Star Wars Chewie We're Home Door Mat | Featuring the memorable quote from Han Solo! From Episode VII of the Star Wars film series! Welcome aboard the Millennium Falcon! There's no place like home, right Chewie? No matter where you are in the world, home is a place where you can just be you! So awaken your inner nerd and get your hands on this "Chewie... We're Home!" Doormat from Star Wars: The Force Awakens! It's an ideal housewarming gift for sci-fi fans, and a great reminder that it's always a good idea to return home once in a while. 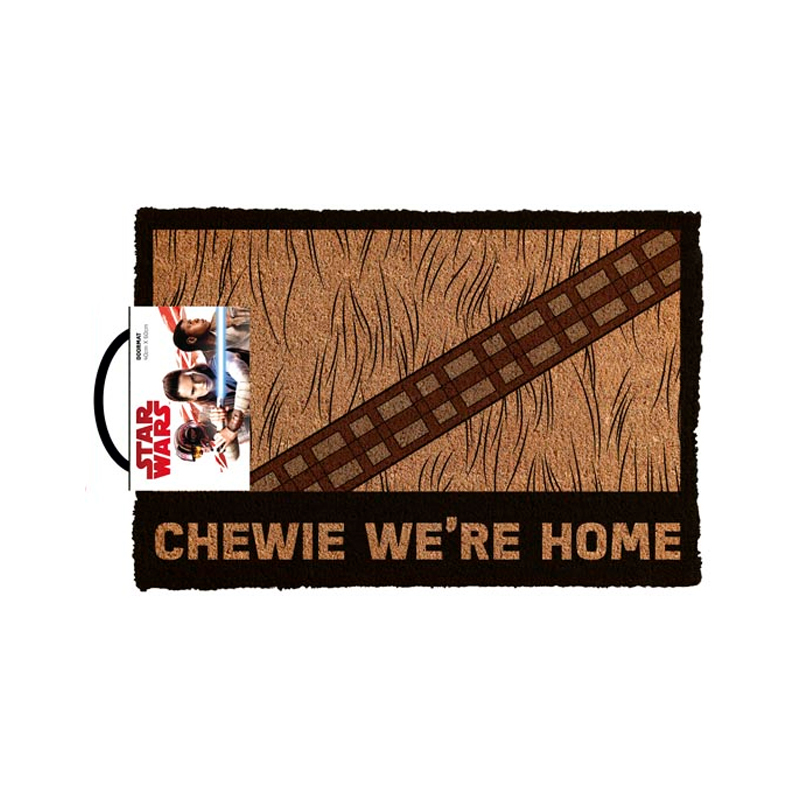 Standard Shipping: "Star Wars Chewie We're Home Door Mat" is unable to be delivered at our normal fixed price of $9.95 because of it's size and/or weight. There will be a small surcharge for freight on the checkout and free shipping will not be applied. 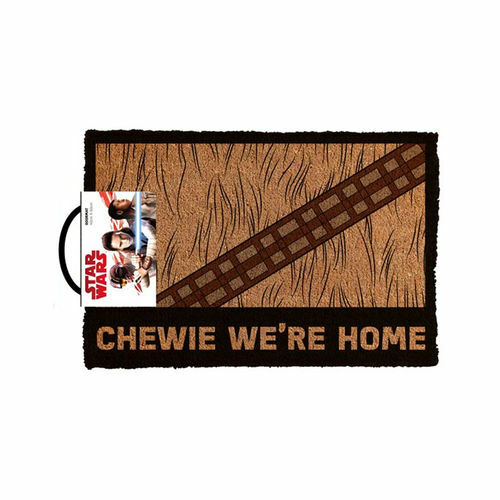 Express Shipping: "Star Wars Chewie We're Home Door Mat" is unable to be express delivered at our normal fixed price of $14.95 because of it's size and/or weight.. If you need this item delivered fast the shipping cost will be calculated at actual cost at checkout.